The pace of change in the UK’s mobility landscape is arguably at its fastest ever. New forms of transport are emerging, and customer expectations are continually being redefined by experiences that would once have been unimaginable. Two recent consultations have looked at the impacts of these changes from very different perspectives. The Government’s consultation on the Future of Mobility considered emerging trends which will shape urban mobility in the decades to come. 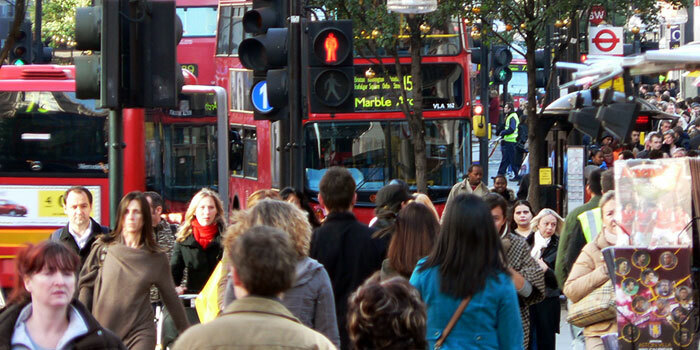 Whilst the Transport Select Committee’s inquiry into the Health of the Bus Market (which ends on Monday) asks how we might protect one of our most valued and established forms of transport – one which is a vital lifeline in many communities. The headline statistics make for depressing reading. Despite the vital role the bus plays in supporting the economy, reducing pollution and congestion, and providing access for many to work, education and essential services, bus patronage is declining. Bus networks are suffering from a perfect storm of rising congestion, bus journey times and fares; the effects of disruptive changes including online shopping, more delivery vehicles and an increase in private hire vehicles; structural changes in the economy and labour market; and the relatively low costs of motoring compared with public transport. The impacts of the decline in bus patronage on society are severe and include increased social deprivation, damage to local economies and worsening pollution. The decline comes at a time when it is more important than ever that the potential of the bus is harnessed to tackle our air quality crisis and reduce congestion. Investment in bus delivers excellent value for money and is key to unlocking sustainable and inclusive growth. However, the potential of bus is not being realized, partly because funding for urban transport has not kept pace with other transport funding. Cities lack the funding and structures needed to develop integrated strategies for transport, employment and housing. We need a long-term bus investment strategy if we are to reverse the decline in bus patronage and maximize the role of the bus in supporting jobs, growth and productivity. This strategy needs to come with a funding commitment from central Government, and the commitment from bus operators and local authorities to work together to maximize the wider benefit to society of bus services. It should focus on linking desperately needed new housing with areas of significant employment. It also needs to be linked to demand management as the only real way to tackle traffic congestion and pollution. Local bus journeys form the huge majority of public transport journeys and provide essential access to work, education and training, healthcare and social activities. Revenue funding for bus services must be protected. The wider economic, social and environmental benefit for each £1 spent on bus revenue funding ranges from £2 to £3.80. We need a step change in funding for urban transport. The next wave of major transport upgrades should focus on transport within cities, to be provided to local transport authorities via stable devolved infrastructure budgets, which must ensure adequate provision for local bus infrastructure. Buses need to be fully aligned with local plans for growth; land use planning and new housing; and, plans to tackle air quality and congestion. Increased funding urban transport needs to pave the way for increased investment in local bus infrastructure. Expenditure on bus capital projects is proven to generate considerable wider economic, social and environmental returns. Typical capital schemes generate £4.90 per £1 invested, and high performing schemes such as the Crawley Fastway and Hampshire Eclipse generate returns of up to £8.10 per £1 invested. We must harness new platforms such as Mobility as a Service to reduce car dependency. Advances in digital technology are clearly responsible for many of the disruptive changes affecting bus networks. Bus networks must go with the grain of these advances and embrace change. Bus operators, technology firms and local authorities need to form alliances to encourage service and product innovations. Finally, we need to embrace demand management measures to reduce traffic. Building new roads will not reduce traffic congestion. Typically, new roads lead to new journeys quickly filling up the additional space. The only solution is to make better use of existing road capacity through measures such as road pricing; workplace parking levy; and city centre entry restrictions. In achieving a long-term bus investment strategy, a collaborative approach will be required – one that brings all interest groups together in the recognition that they have much more to gain from working together. Local bus operators and local authorities need to be inextricably linked, and to work closely with bus users, bus suppliers, network planners, and to engage with Local Enterprise Partnerships and wider interests such as large employers, Business Improvement Districts and town centre managers. Thereby creating local bus networks that are directly relevant to the communities they serve and creating a virtuous circle of more bus users and better outcomes for society. Buses are as relevant today as they have ever been. As we look to the future we must pay heed to lessons from the past and protect the value of mass transit. The National Infrastructure Assessment highlighted that in dense city centres connected and autonomous vehicles will never be an effective replacement for high capacity public transport and may simply increase pressures on road space. The basic challenge of urban transport will remain the same: there is simply not enough space in cities for everyone to travel by car. Surely a mission for the Future of Mobility must be to tackle this conundrum and end congestion. And surely one of the main ways to do this is to maximize the value of one of our oldest and most cherished forms of transport: the bus.